Gaston is currently sitting smack in the middle of the Atlantic Ocean churning away. Currently it is not near any landmasses and is at tropical storm status having weakened slightly from hurricane force. The National Hurricane Center reports that Tropical Storm Gaston was located 1110 miles east northeast of Bermuda and is toward the north-northwest at 17 mph. Forecasters expected Gaston to turn back toward the northwest or west-northwest at a slower rate of forward speed during the next couple of days. Currently the maximum sustained winds in the storm are near 65 mph (100 km/h) with higher gusts. Some strengthening is forecast during the next 48 hours with Gaston expected to become a hurricane again by Saturday. Tropical-storm-force winds extend outward up to 150 miles (240 km) from the center. 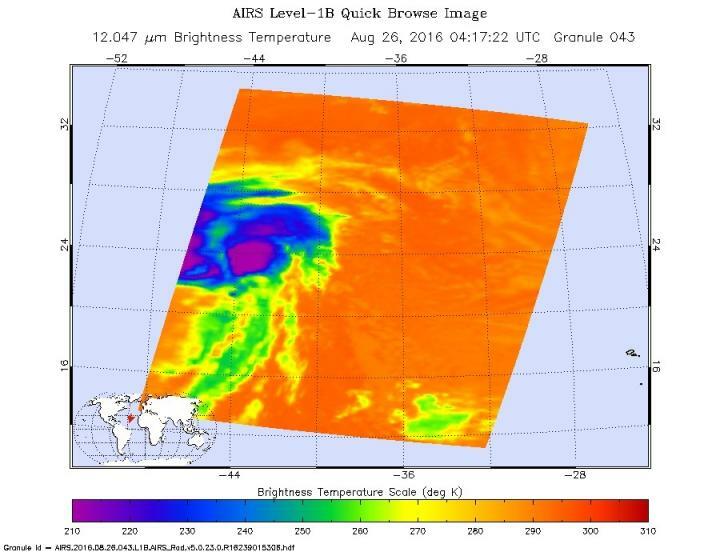 NASA's AIRS instrument on the Aqua satellite captured this image of the storm in its weakened position. Purple indicates the strongest parts of the storm and in this infrared image the majority showed blue to green and yellow indicating warmer cloud tops and less strength. 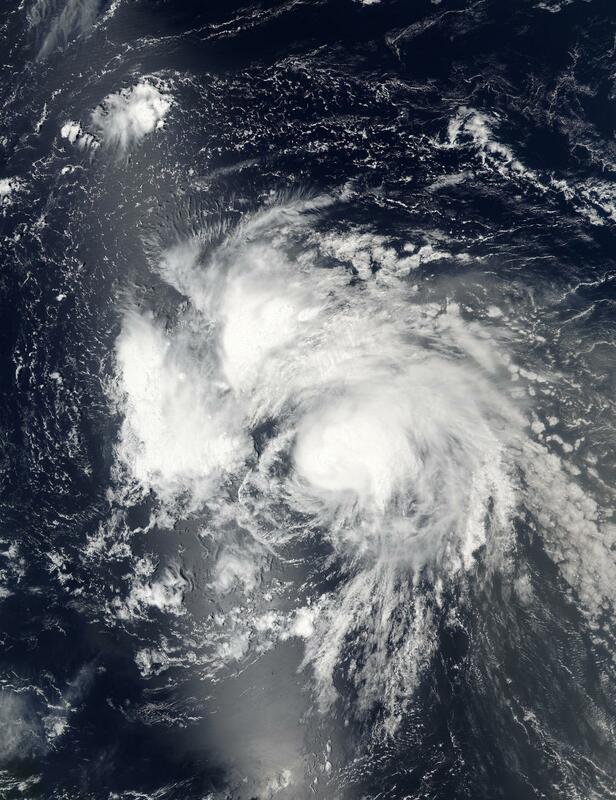 NASA's other satellite, the Suomi NPP satellite imaged Tropical Storm Gaston with visible light imagery using its VIIRS (Visible Infrared Imaging Radiometer Suite) instrument which showed the storm as it now appears in the Atlantic Ocean. The storm appears somewhat disorganized at this time, but forecaster are warning of a strengthening which will result in the tightening of the storm over the next 48 hours. For the most current updates on Gaston, visit: National Hurricane Center website: http://www.nhc.noaa.gov.